Bolton vs Leeds predictions ahead of this Championship clash on Saturday. Read on for our match preview and free betting tips. Can Leeds continue their push for top spot when they head to Bolton this week? The visitors are just a point shy of the lead in the Championship, but they’re baring down on a tough Festive period. As a side who like to press high and fast, Leeds are likely to have some problems dealing with the busiest period in the fixture list. They’re about to start facing two games per week, but can Marcelo Bielsa’s side come into it as the front-runners for a Premier League place? With a visit to the second worst side in the league coming up, expectation is on Leeds. The hosts sit second from bottom, following a turbulent few months. They’ve been struggling to meet the demands of the Championship, both on the pitch and off. They’re now a point shy of safety, having slid down the table over the last few months. Last weekend brought a brave performance, but they still lost out at leaders Norwich. That doesn’t bode well for another big test this weekend, as the Trotters prepare to face a promotion chasing Leeds outfit. Can the hosts cause a shock? Leeds have been in consistent form, with their 2-1 win over QPR at the weekend leaving them five points clear of third. They’re on their way to the top flight on current form, but they need to keep that up during the run-in. We’ve looked in the past at how Marcelo Bielsa’s side struggle when it comes to the final stages of the season. That’s likely to be a big factor in a 46-game season in a league like the Championship. Picking up points against the worst sides in the division is really important, so this weekend’s game is a big test for the visitors. Leeds have won their last four matches on the spin, which has opened up a gap over third place. The visitors are looking good for promotion based on their results so far, and they’ve been impressive on their travels. The visitors have the third best away record in the division, following a 1-0 win over third-placed Sheffield United in their previous trip. While Leeds are great on their travels, they face a Bolton side who have the second-worst home record in the league. The hosts have lost six of their 10 home matches, and we see them suffering another loss to the high-flying visitors. We think Leeds are value given the gulf between these two sides, so we’re siding with a victory for the Elland Road outfit. Leeds have lost just one of their last 14 away matches against Bolton (W9 D4), a 1-4 defeat in the Premier League in May 2004. Bolton have only picked up just three points from their last 11 league games (D3 L8), scoring five goals and conceding 17. Leeds have had a different manager in each of their last 10 away league visits to Bolton since 1995 – Wilkinson, Graham, O’Leary, Venables, Gray, Warnock, McDermott, Redfearn, Evans and Christiansen. 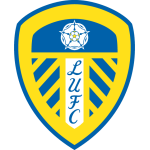 Leeds have won each of their last four Championship matches; they last won five league games in a row in December 2009 when in the third tier. 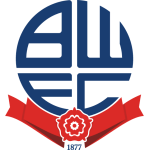 No Championship side has made more changes to their starting line-up this season than Bolton (59, level with Sheffield Wednesday), whilst only Birmingham City (16) have made fewer changes than Leeds (23).